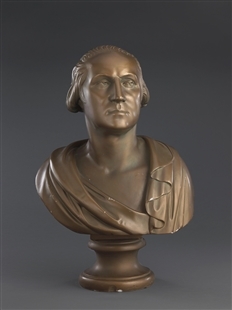 Glenn Rupp, a House Page from 1932 to 1936, was issued this pass for President Herbert Hoover’s address to a Joint Session of Congress marking the bicentennial of George Washington’s birth. 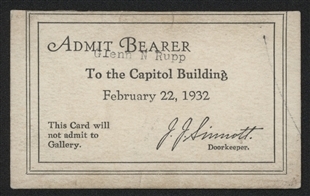 Pages often had access to memorable events at the Capitol. In Rupp’s recollections of Hoover’s address, he mentioned that his supervisor, Doorkeeper Joe Sinnott, mistakenly introduced the President as Hubert Hoover.